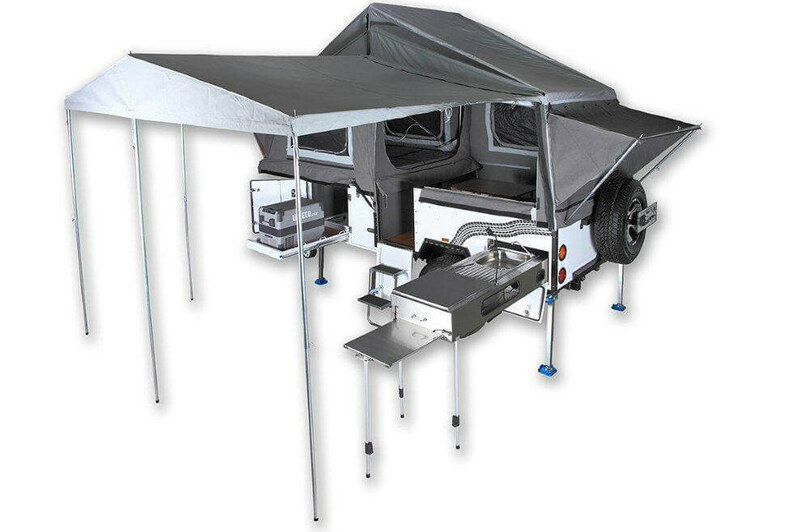 The CRUX 3100, is our largest sized tent trailer. The Crux 3100 comes fully loaded with all of the amenities required to Explore Comfortably™ in an off-the-grid, off-road tent trailer that sleeps four inside the main tent and many more in the annex. We have taken the guessing game out of the buying process for the consumer. The competition all start with a base model with a multitude of configurations and options that create a complex buying process and price sensitivity. We offer one configuration, fully loaded with all the amenities common in this product category at an unmatched price. Like all of our products this model only comes fully loaded with a dual battery, Zamp solar, 7-pin and shore powered electrical system with dual batteries and a 2,000 watt inverter. This trailer has a Sony stereo with two speakers. It also has a shower that attaches port on the drawbar. The slide out galley has a Dometic dual burner propane stove and sink. The main tent easily folds open and closed with a hand crank and is easily set up by one person. The annex provides a large living space and is built to withstand extreme weather. Our tent provides the easiest set-up and the most standing room in its class. 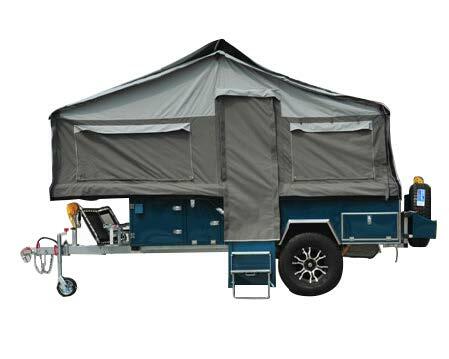 Tent unfolds easily and rear living space has between 7–9 feet of headroom. •Annex has 130 sq.ft. of living space all with 7–9 ft. Heavy-duty, off-road suspension allows you to head deep into the backcountry. Rear sliding compartment with 12V DC allows you to store and access your refrigerator while protected from the elements. Slide out galley with two burner stove and sink with electric pump. Interior Full internal wood floor and under seat storage, folding table 2’3” L x 2’ W folds down to convert sofa into an additional bed. 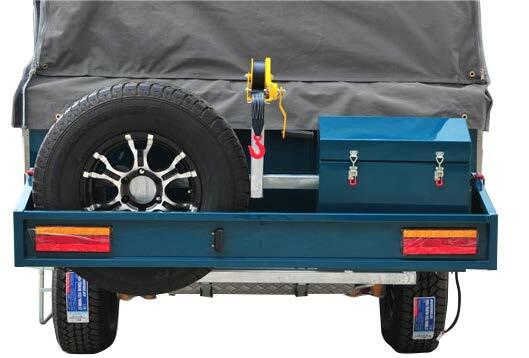 Would you like more information on a CRUX Expedition Trailer? Please give one of our dealers a call or fill out the form below and one of our dealers will get back to you as soon as possible. Copyright © Crux Expedition Trailers 2019. All Rights reserved.